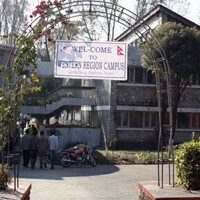 The initiation of the Paschimanchal Campus (WRC) in Pokhara under the Institute of Engineering (IOE), Tribhuvan University can be considered as a revolutionary step towards meeting the demand of technical manpower in the field of engineering for the development of the nation. Initially various trades and technician courses also were offered at this campus along with diploma courses. At present, it is offering Bachelor’s Degree program in Civil Engineering, Electronics, Computer, Mechanical, Geomatics and Electrical Engineering. The performance of the students in this college over the past years is very encouraging as compared to that of other T.U. affiliated campuses.